Extreme tent Falcon 2 - Your partner for every adventure The Falcon is a extrem tent for those who like traveling as a couple or in pair. Extreme Lite Tent BARON 4 - A light 4-person tent The tent Baron 4 is the Baron 3’s big brother. 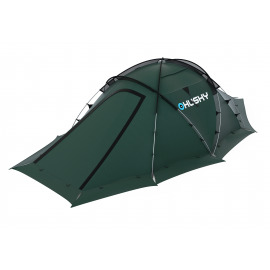 Its aluminum construct guarantees its low weight and its Ripstop surface arrangement promises that no drop of rain will permeate the fly-sheet. Its spacious vestibule is ideal for storing bikes while cyclotouring or backpacks while on hiking trips. 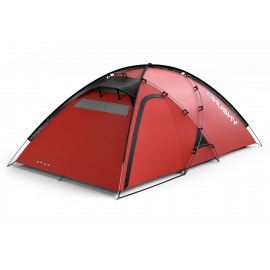 Extreme Lite Tent BARON 3 - A noble choice The part of Extreme Lite line is inherently included the tent Baron 3. Together with the tent Baron 4 they are true cavaliers of their category. Thanks to its spacious vestibule the Baron 3 is destined for cyclotouring, hiking and last but certainly not least, for camping. OUTDOOR TENT BONELLI 3 - The waterman’s dream For those who prefer boats to bikes, the Bonelli tent is a real bull’s-eye. An ultralight tent for demanding hiking - EXTREME TENT FLAME 2 The smallest tent in the Husky Extreme Collection, the Flame, has already been in production for ten years. During this time its construction and details have been brought to perfection. Fighter which will not refuse any challenge - Extreme Tent FIGHTER 3-4The Fighter tent is a real uncompromising champion in the true sense. 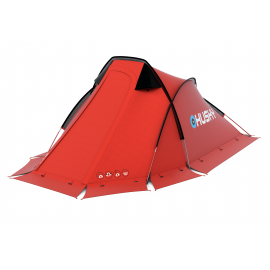 Space above standard with duralumin construction - TENT EXTREME LITE FELEN 3-4Speciality of this tent is fixation system of bearing poles with outer construction. 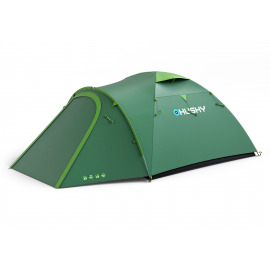 Small Brother of successful tent Felen 3-4 in husky collection Tent Felen 2-3 uses same construction like the Felen 3-4 because it offers spacious hall and well-tries bearing poles fixation which combines tunnel and buckle catching. 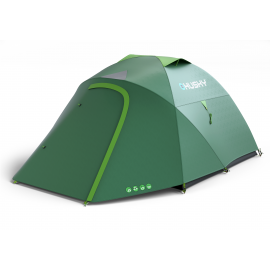 OUTDOOR TENT BROMER 4 - COMPACT FAMILY TENT SUITABLE FOR CYCLISTS AS WELL Model for 4 people is suitable option for those who don’t prefer clasicall big family tent and turistic tent is not big enough. This item is exact compromise between these two requests. OUTDOOR CLASSIC TENT BIZON 3 - THREE MEN IN A TENT AND THE BAGGAGE TOO The effort to find the most practical tent for three in HUSKY Outdoor range is the Bizon 3 tent.